This recipe will serve two generously. Quantities can be easily doubled or more. 1 – 2 tablespoons rum (optional) - traditionally Grand Marnier (orange flavored) but you can use any kind. 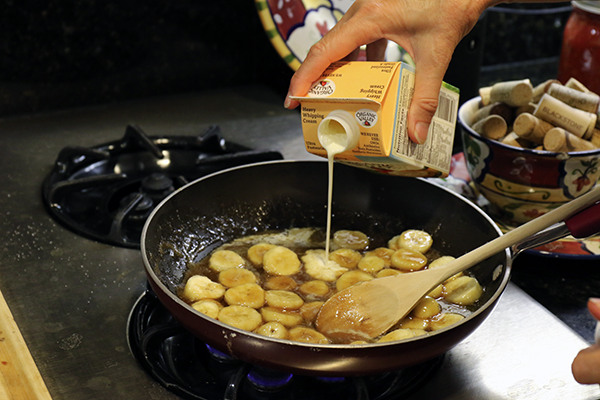 Caramel bananas are quick enough for midweek dessert but tasty and dramatic enough to top off a dinner party. 1. Cut bananas into circular slices – about 1/3”. 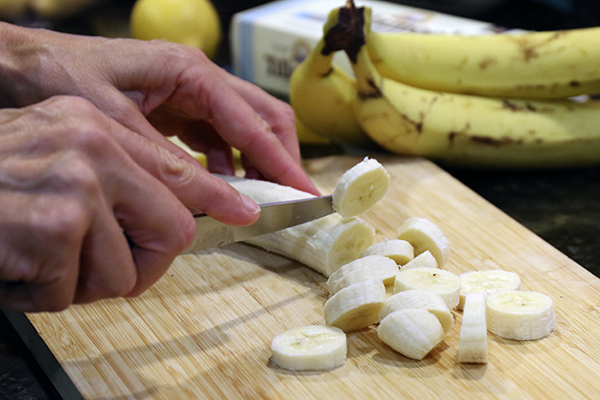 Note: Traditional recipes cut the bananas in half and then again half lengthways but we have always sliced them – it make it easier to cook and easier to eat – especially for kids. Cut them how you like - we like round pieces. 2. 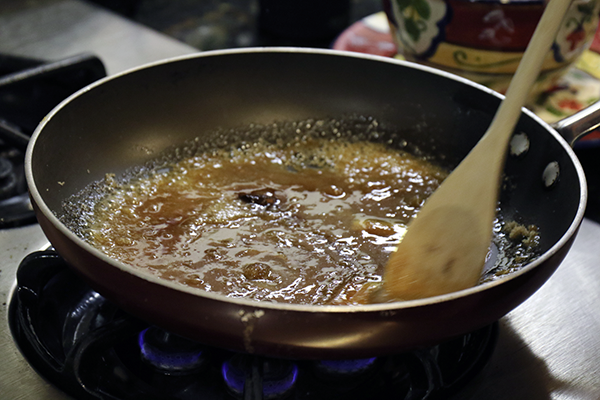 Put butter and brown sugar in frypan on low to medium heat (I use a medium sized non-stick frypan). 3. Melt butter mixing in brown sugar until combined and turning to caramel. 4. 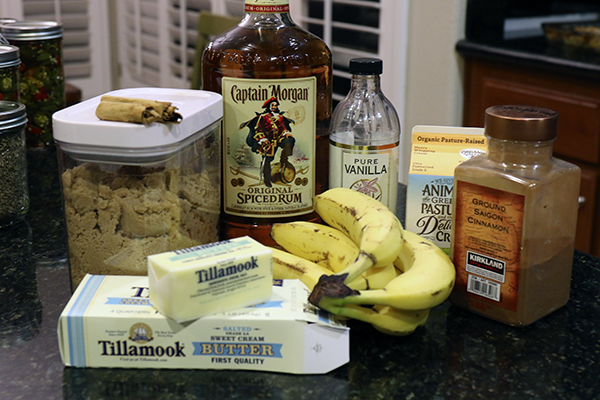 Once butter has melted and sugar mixed in, add vanilla, cinnamon and rum and stir well. 5. Reduce heat if mixture is boiling – it doesn’t need to boil at this point. 6. 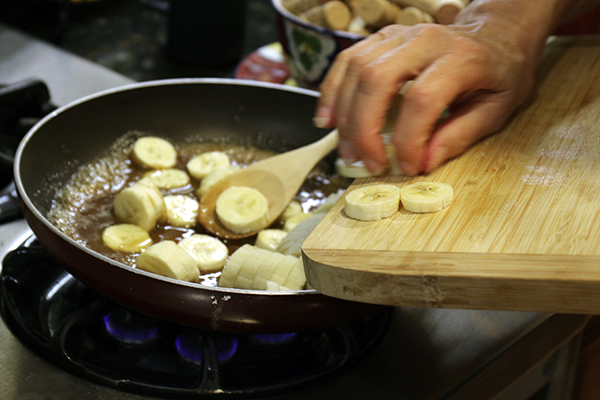 Add bananas and stir gently until bananas are cooked. Then add cream (if using). 7. 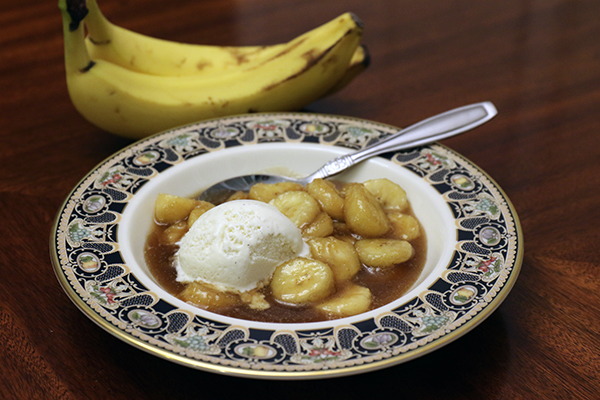 To serve put bananas and sauce in a bowl topped with a scoop of vanilla ice cream.